These days young Hollywood stars are either dating or breaking up on a random basis which shows how the careless the current generation is when it comes to handling a relationship. But there are some who are faithful and sincere about their relationship. Adelaide Kane is dating her boyfriend for around 3-years now and the pair looks like they'll go all the way. Let's take a look at their relationship and know how it all started? You sure seem interested, aren't you? Let's roll. It has been over three years since she started dating her boyfriend. But one cannot believe she is going out with him for the last three years, mainly due to her long list of boyfriends. Yup, you won't believe how many guys she dated or rumoredly dated during her long yet short TV and big screen career. We'll tell you all about her affairs in the other section below. So yeah focusing on the current topic, you want to know the identity of her rumored boyfriend. Well, the actress is dating one of her co-stars from the show, Reign. No, it's not Torrance Coombs, as he is happily married to his wife Alyssa Campanella. Okay no more circling around her boyfriend's name. 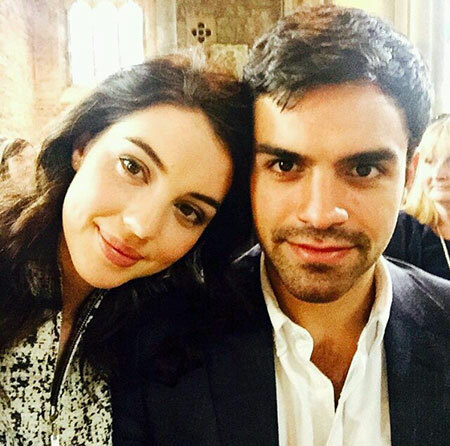 She is in a relationship with Sean Teale since 2014. The pair first met on the sets of the series, Reign and they are together ever since. But before getting sad and pissed at the same time, know that these according to many tabloids so nothing is the absolute truth. And on top of that, the actress doesn't seem to talk about him very often nor does she shares pictures of him on Instagram so maybe she is not dating him or maybe she is. As we talked earlier, the actress was dating quite a few guys. Maybe that's why many people still believe that she can never be in a stable relationship for a long time. The actress dated Toby Regbo, Connor Paolo, Jerod Harris, and Ian Bohen. The actress herself never revealed anything about her dating affair but we all know how celebs are these days. Hiding many things from us. Born on 9 August 1990, in Perth, Western Australia, Australia. Her father is Scottish and mother Scottish, Irish, and French. She attended St Hilda's Anglican School for Girls. She has a younger brother named William. Her parents got separated when she was 7. She began her career as an actor at the age of 6. She worked as a child actress for many advertisements. She made her debut on the big screen movie, Love Stinks in 2010. And made her small screen debut in 2007 TV series, Neighbours. Her most recent movie was Once Upon a Time. She is currently working as an Executive director for the movie, Acquainted. Her net worth is $4 million.